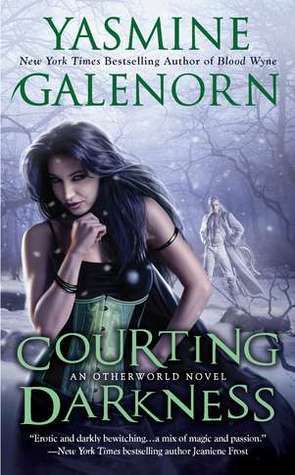 It is no secret that I LOVE LOVE LOVE the Otherworld Series by Yasmine Galenorn and #10 in the series does not change my mind I LOVE this book. Those that are familiar with the series knows that there are 3 Sisters (The D'Artigo Sister Half Fae/Half Human and each have their own special attributes) at least that is how the books rotate the 4th sister was only introduced a few books ago and she is only there in spirit. So this book is from Camille's POV. Just returning from the Northlands Camille finds out that there is no time to rest as she is sent out to chase down a demon. While hunting down the demon Family Friend Det. Chase is kidnapped. And with twist and turns Camille finds herself in a life and death situation has Hyto's captive. Hyto is Smoky's father and blames Camille for his exile out of the Dragon Reaches. Does Camille have the strenght to escape Hyto before he breaks her beyond repair? Yasmine Galenorn has wonderful description and her writing is so smooth and flowing. This one is a little darker than the rest of the series but that does not change how the story flowed it was good seeing that even a little darkness can have a good ending. If you have not read this story yet seriously what are you wanting on this is one series that everyone should own.